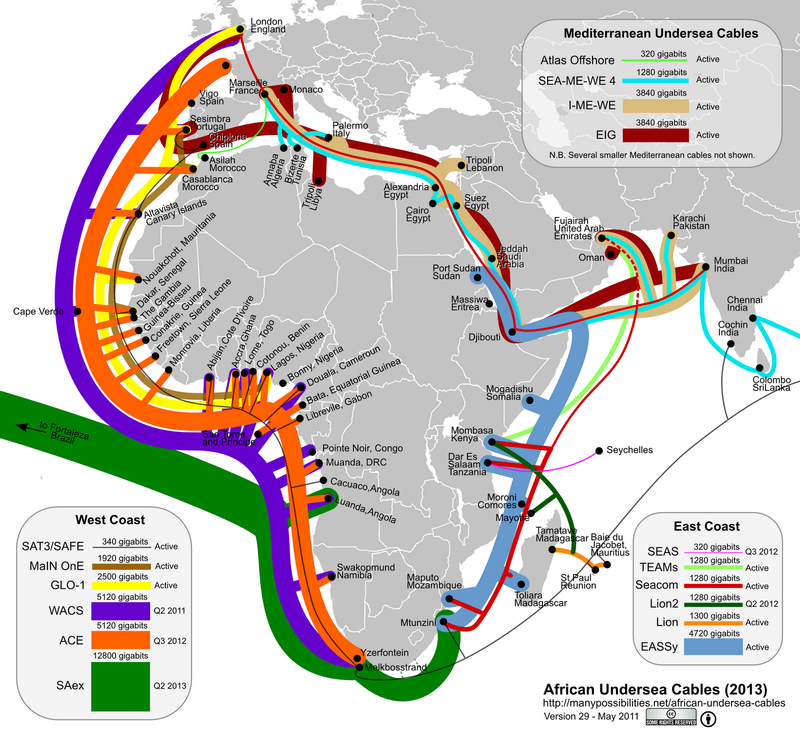 Steve Song's map of African undersea cables strikingly illustrates the changing landscape of African network connectivity. To get the most recent version of his map it is best to obtain it from his site. Here is the version of May 2011 reproduced with his kind permission. It is almost unimaginable that, until recently, South Africa's only real undersea connectivity to the outside world was via the SAT3/SAFE cable system - a system which is hard to spot on this map.